‘Nonconformity in Africa’s Cultural History’. Journal of African History 58 (1) (2017), 35-50. Special issue on ‘E.P. Thompson and African History’, edited by L. White. ‘A History of the Heritage Economy in Yoweri Museveni’s Uganda’. Journal of Eastern African Studies 10 (4) (2016), 789-806. Special issue on ‘The NRM Regime and the 2016 Ugandan Elections’, edited by R. Vokes and S. Wilkins. ‘The Politics of Transcendence in Colonial Uganda’. Past and Present 230 (1) (2016), 197-225. ‘Autour d’un livre: Derek R. Peterson, Ethnic Patriotism and the East African Revival’. Politique Africaine 138 (2) (2015), 179-99. With essays from Carol Summers, Etienne Smith, and Hervé Maupeu. ‘Violence and Political Advocacy in the Lost Counties, Western Uganda’. International Journal of African Historical Studies 48 (1) (2015), 51-72. Special issue on ‘Violence as Politics in Eastern Africa’, edited by D. Anderson and O. Rolandsen. ‘Book Debate: Derek R. Peterson, Ethnic Patriotism and the East African Revival’. Social Science and Missions 27 (2014), 267-280. With essays by J.D.Y. Peel, Justin Willis and Mark Noll. ‘Rethinking the State in Idi Amin’s Uganda: The Politics of Exhortation’. Journal of Eastern African Studies 7 (1) (2013), 58-82. Special issue on ‘Uganda in the 1970s’, edited by D.R. Peterson and E.C. Taylor. Co-authored with E.C. Taylor. ‘The Work of Time in Western Uganda’. Citizenship Studies 16 (8) (2012), 961-977. Special issue on ‘Secularism and Citizenship in the Non-European World’, edited by D. Lehmann and H. Iqtidar. ‘Conversion and the Alignments of Colonial Culture’. Social Sciences and Missions 24 (2-3) (2011), 207-232. Special issue on marking the twentieth anniversary of J. and J. Comaroff’s Of Revelation and Revolution. ‘The Intellectual Lives of Mau Mau Detainees’. Journal of African History 49 (1) (2008), 73-91. ‘Culture and Chronology in African History’. Historical Journal 50 (2) (2007), 483-497. ‘Morality Plays: Marriage, Church Courts and Colonial Agency in Tanganyika, c. 1880-1928’. American Historical Review 111 (4) (2006), 983-1010. ‘Casting Characters: Autobiography and Political Imagination in Colonial Kenya’. Research in African Literatures 37 (3) (2006), 176-192. Special issue on ‘African Languages and Literatures’, edited by K. Barber and G. Furniss. ‘“Be Like Firm Soldiers to Develop the Country”: Political Imagination and the Geography of Gikuyuland’. International Journal of African Historical Studies 37 (1) (2004), 71-101. ‘Making the Chikunda: Military Slavery and Ethnicity in Southern Africa, 1750-1900’. International Journal of African Historical Studies 36 (2) (2003), 257-281. With Allen Isaacman. 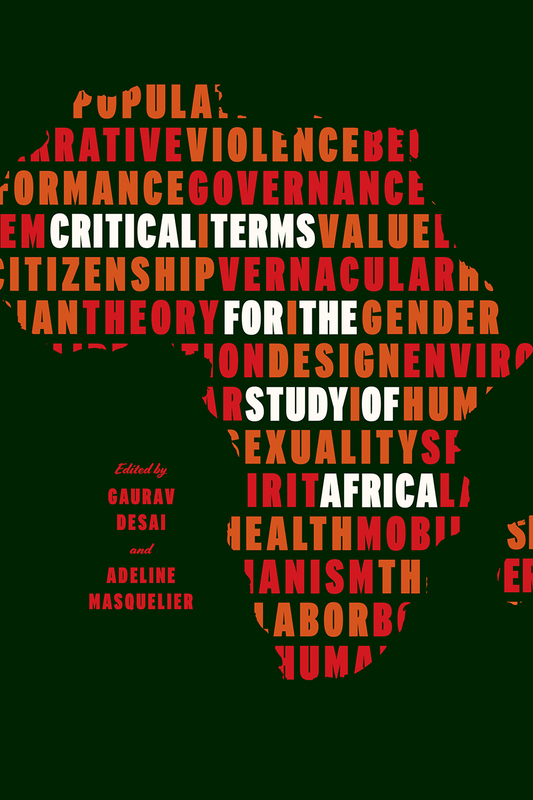 ‘Wordy Women: Gender Trouble and the Oral Politics of the East African Revival in Gikuyuland’. Journal of African History 43 (2001), 469-489. ‘Translating the Word: Dialogism and Debate in Two Gikuyu Dictionaries’. Journal of Religious History 23 (1999), 31-50. ‘New Directions in the Social History of Missions in Africa’. Journal of Religious History 23 (1999), 1-7. Co-authored with J. Allman. ‘Colonizing Language? Missionaries and Gikuyu dictionaries, 1904 and 1914’. History in Africa 24 (1997), 257-72. ‘Uganda’s History from the Margins’. History in Africa 40 (s1) (2013), s23-s25. Special 40th anniversary issue. ‘Language: Government and Mission Policies’. In J. Middleton and J. Miller et. al., eds., New Encyclopedia of Africa (New York: Scribner, 2007). Introduction to ‘Ngo ya Tuiritu [Shield of the Girls]: Letter Concerning Female Circumcision’. In F. Howe (ed. ), Women Writing Africa: The Eastern Region (New York: The Feminist Press, 2007). ‘Mau Mau’. In K. Koschorke (ed. ), Kirchengeschichte VII: Asien, Afrika, Lateinamerika, in the series Religion in Geschichte und Gegenwart (Tubingen: J.C.B. Mohr, 2002).